Sorry, Team Deathmatch. You're Not As Good As Other Modes. Slayer. Deathmatch. Arena. Free-for-all. The mode has many names, but your aim stays the same: kill everyone, as many times as possible. Maybe there's a time limit or a kill limit, but it usually comes down to some variation of "the person or team with the most kills wins." Simple, seductive...and kind of mindless. Now, don't get me wrong. Deathmatch can be a ton of fun, especially if you're looking for something quick and straightforward. 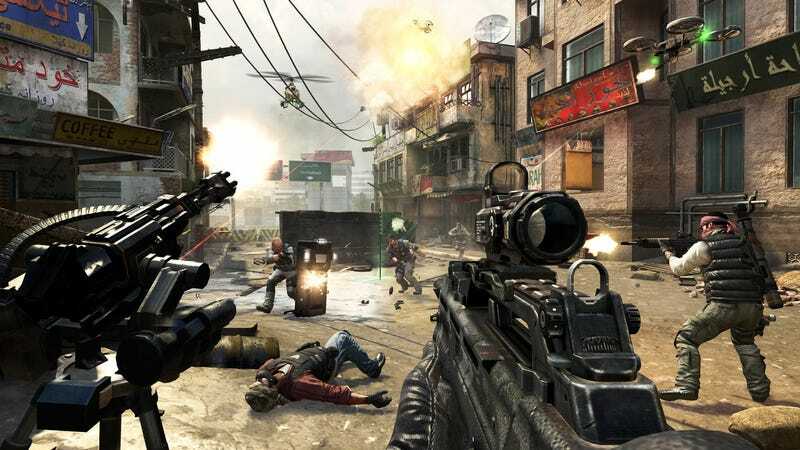 The shooting genre as a whole—when it comes to multiplayer gaming, at least—largely rides on this particular play style. I'm willing to bet that you can pick out a game, any shooter, and if the game shows you how many people are playing online, chances are most of them are populating the team deathmatch servers. With good reason: a game must have a solid mechanical base to rely on nothing more than "let's just shoot each other until one of us stops moving." Still, I've found myself straying from deathmatch-like modes more and more in recent years—instead opting to play modes with added objectives or special conditions. Part of it is weariness of experiencing the same thing over and over again, sure; I'm kind of bored of team deathmatch. I've also found that deathmatch often doesn't ask much of me—not in comparison to say, playing Rush in Battlefield or Payload in Team Fortress 2. These are modes that require you to attack or defend points on the map depending on the team you're on, and doing so often necessitates strategic thinking and teamwork. Blessed, blessed teamwork. It all comes down to preference; I realize that. And my cup of tea is one that doesn't blend well with gametypes that are overrun with the lone-wolf player. For one, I live for the high of having a bunch of different moving parts come together, the high of perfectly orchestrating a complex attack on the enemy team. You can work as a team in deathmatch, sure, but it's often not necessary in order to win. Teamwork-centric modes require players to be crafty, clever—not just quick on the trigger. Teamwork-centric modes require players to be crafty, clever—not just quick on the trigger. But beyond that, in my experience, a mode that focuses solely on kills attracts the worst kinds of players—namely, those obsessed with their kill/death ratios. Or, if the mood in the lobby is feeling particularly salty, kill-stealers. The type of players who don't care if you lose so long as they don't tarnish their precious ratio—and I mean, who can blame them? Modes like these are all about self-preservation and personal gain (hello, kill-streaks). I'd rather play something that asks people to not be selfish, to work toward a greater good—but more importantly, I'd rather play something that challenges me. Sometimes, it might just be that I'm in the mood for something novel. Party games are great here, like Call of Duty's Gun Game—which requires you to get a kill with every single weapon. It's a mode that demands versatility; I can appreciate that. And who can forget Sticks and Stones, the mode where you can only use crossbow, ballistic knife and a tomahawk? I also gotta give a shoutout to Halo's Infected mode, which has one player starting out as a "zombie"—when they kill a "living" player, that player also becomes infected. Last man standing wins...if they can survive. The tension is delicious. Modes like these make normal team deathmatch seem utterly boring. What it comes down to for me is this: I know can kill other players just fine, else I wouldn't brave the cutthroat multiplayer waters. I like it when games ask me what else I can do. I'm curious though: what are some of your favorite game modes?